I am so happy to be here! Let me introduce myself: i am Elisabeth, the girl behind the blog ruban cassette. Let me introduce myself: I am a happily married amateur photographer and the mother of 6 month old baby Henri. Being a bit of a crafty girl, I love to share diys and bits and pieces of our little life. I try to inspire people (and myself!) to live a more simple, ecological, handmade and less cluttered life. I feel like beauty is everywhere, especially in all those small details that constitute life. But hey, enough about me! As you may already know, Vanessa is having a second baby (congrats!) so I am more than pleased to jump in with this little guest blog post. I’ve decided to share with you some of our favorite baby books, because we do love books around here! Our mother introduced us at a really young age to the pleasure you get from reading and looking through books. A few of months ago, we started to read a lot of books to Henri. We try to read a couple of stories in the morning and a couple more before bedtime every day. H listens carefully and looks at the pictures with a lot of attention (and then goes back and forth between looking at us reading and looking at the book. It is so cute). It is such a precious moment. 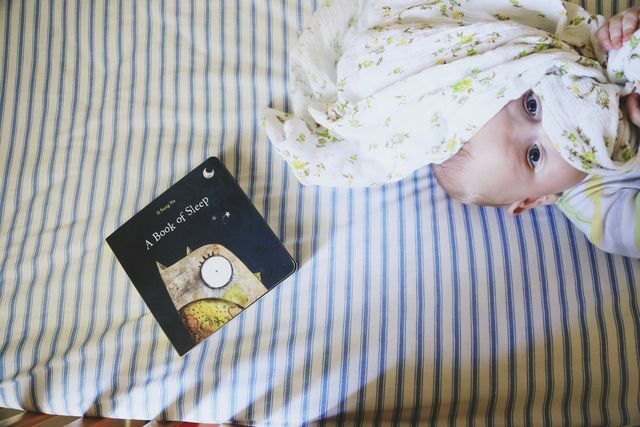 We feel so lucky to share with you some of our favorite baby books. Thanks again, Vanessa! 1. A book of sleep by Il Sung Na. The story behind a book of sleep is really simple but so good and cute: an owl explains how other animals sleep at night. Big cardboard pages, one or two sentences per page and really pretty drawings. It is the perfect recipe! H is always really interested when we read this book. Something fun is that the author also created an app of his book! You can download it on you iPad or iPhone and show it to your kid if you’re out and don’t have the book with you. I thought I’d share here the video to show you how pretty the book is. I love the app but there is nothing like holding the book in my hands while reading and watching henri trying to grab the images in the book. 2. Another favorite of ours is the Dr. Seuss's beginner book collection that Henri's auntie dom gave him. 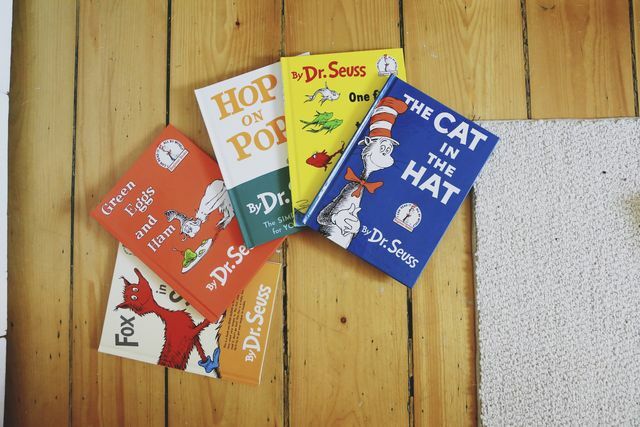 Dr. Seuss books are classics (the cat in the hat was written in 1957! ), I know, but having grown up in a french speaking background, they were new to me. What a great discovery! This collection includes The Cat in the Hat, One fish two fish red fish blue fish, Hop on Pop, Green eggs and ham and Fox in Socks. These books are a bit long for Henri's age, but I really enjoy reading him some parts. These books were written to motivate kids to read and to have fun doing so. They are full of rhythm and tongue twisters and the stories are super creative and kind of crazy! 3. Harlem's little blackbird, by René Watson. this book is unbelievably great. 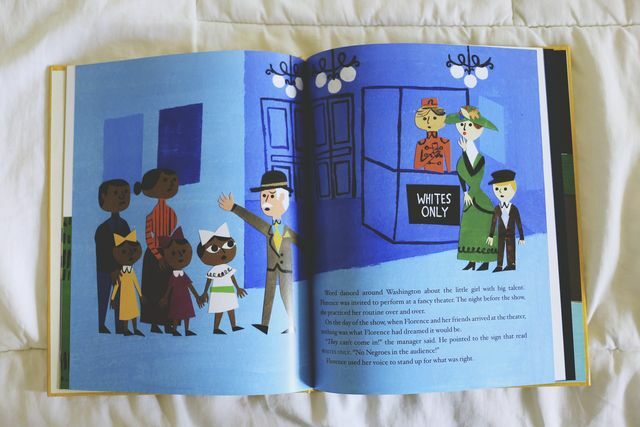 Not only the book itself is beautiful, but the story is heart warming and positive despite a very negative and heavy subject: racism. A true story, about an unknown (or lesser known) individual (Florence Mills) who was positively impactful. Born to former-slave parents, florence loved to sing. She had a sweet, bird-like voice and she sang and dance on the stages of broadway in the 1920s, where she inspired songs and plays. This is the kind of book that i want my boy to be surrounded with as he gets older. Beautiful, strong and inspiring. 4. over and under the snow, by Kate Messner. Wow! This book is all about the secret kingdom under the snow. 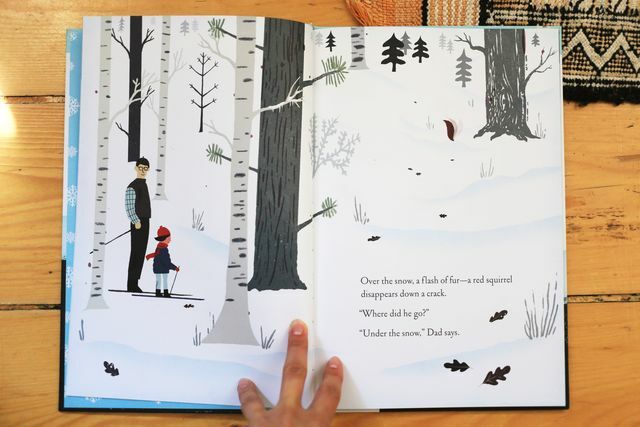 A little girl goes cross country skiing with her dad where her father talks to her about all the life and beauty that lives under the snow. I live in Quebec city and we get A LOT of snow during winter. I think this book, as H grows older, will inspire him to love snow as much as his dad does! I cannot wait to sign up H to our local library! I think it's good to have a couple of great books at home, but also to go regularly to the public library. Not only because it is economical and a great way to reduce our consumption, but it is also good that kids get to chose their own books, share with other kiddos and learn to take care of something that is shared and that belongs to the community. And you? What about your favorite books and your book ritual?